Hugo Gernsback, perhaps better known as the ‘Father of Science Fiction’ (and currently eponymously celebrated in the ‘Hugos’ Science Fiction Awards) also invented and built an early electronic instrument called the Staccatone in 1923 (with Clyde.J.Fitch) which was later developed into one of the first polyphonic instruments, the Pianorad in 1926. Gernsback was a major figure in the development and popularisation of television, radio and amateur electronics, his multiple and sometimes shady businesses included early science fiction publishing, pulp fiction, self-help manuals and DIY electronics magazines as well as his own science fiction writing. 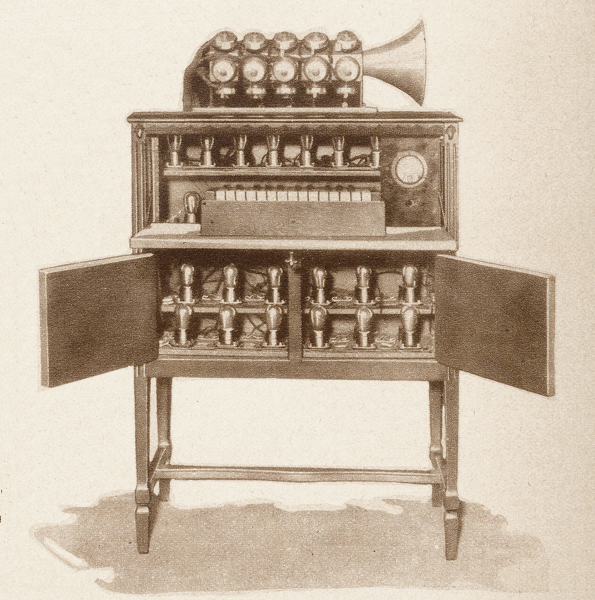 Each one of the twenty five oscillators had its own independent speaker, mounted in a large loudspeaker horn on top of the keyboard and the whole ensemble was housed in a housing resembling a harmonium. A larger 88 non keyboard version was planned but not put into production. 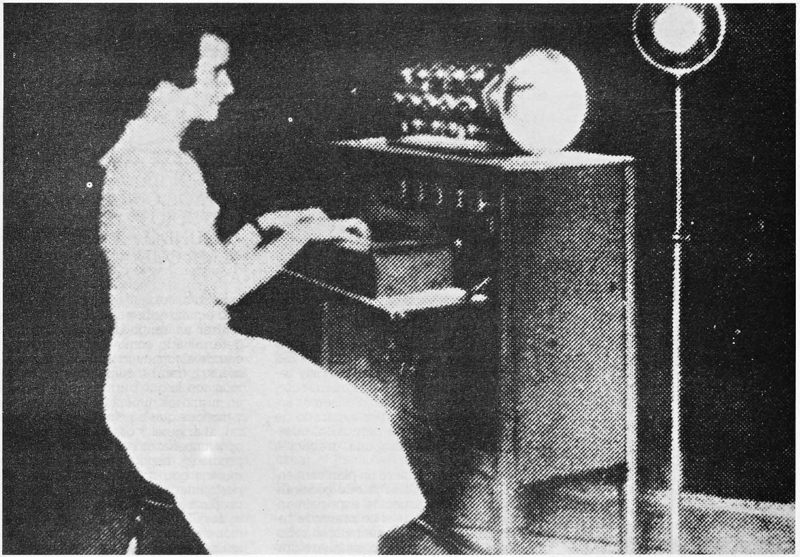 The Pianorad was first demonstrated on june 12, 1926 at Gernsback’s own radio station WRNY in New York City performed by Ralph Christman. The Pianorad continued to be used at the radio station for some time, accompanying piano and violin concerts.